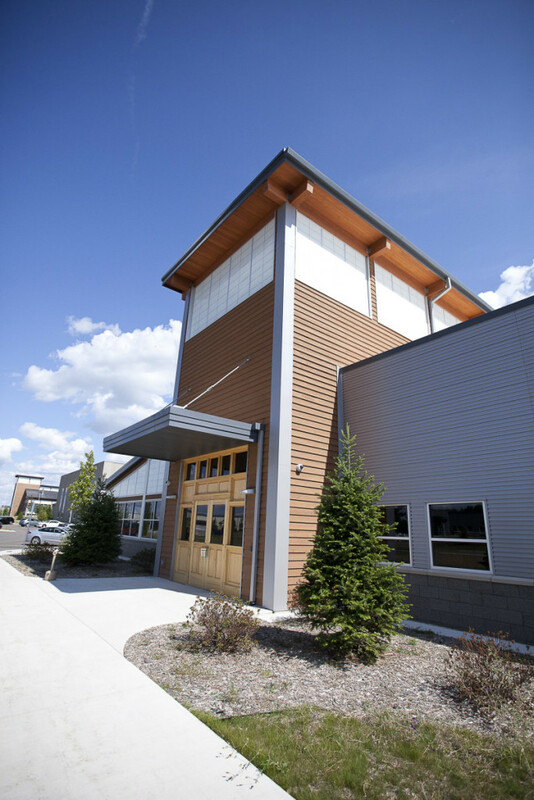 Bell's Brewery, Inc. 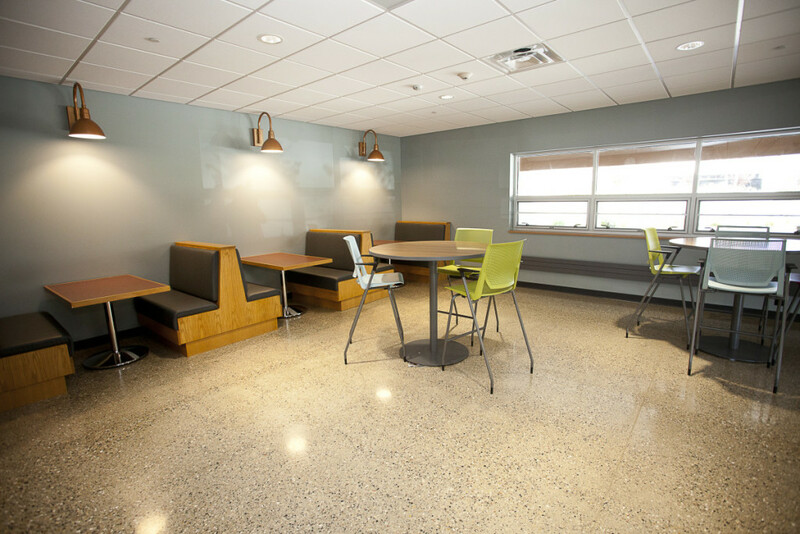 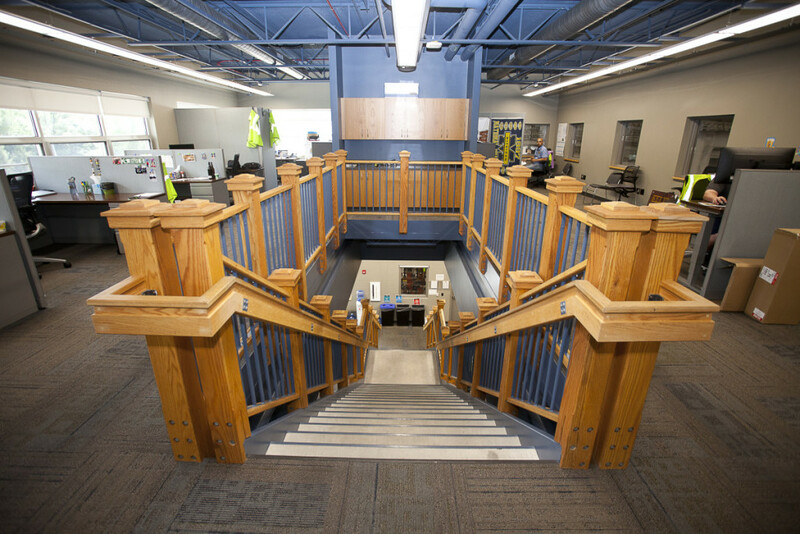 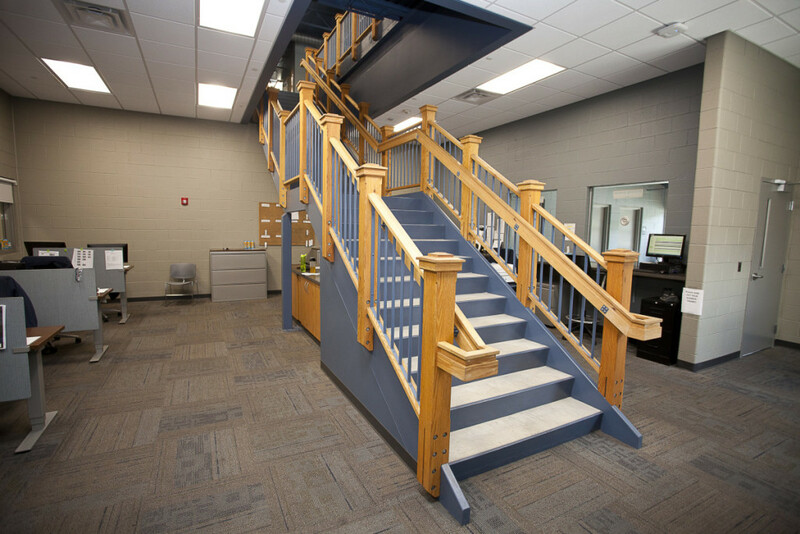 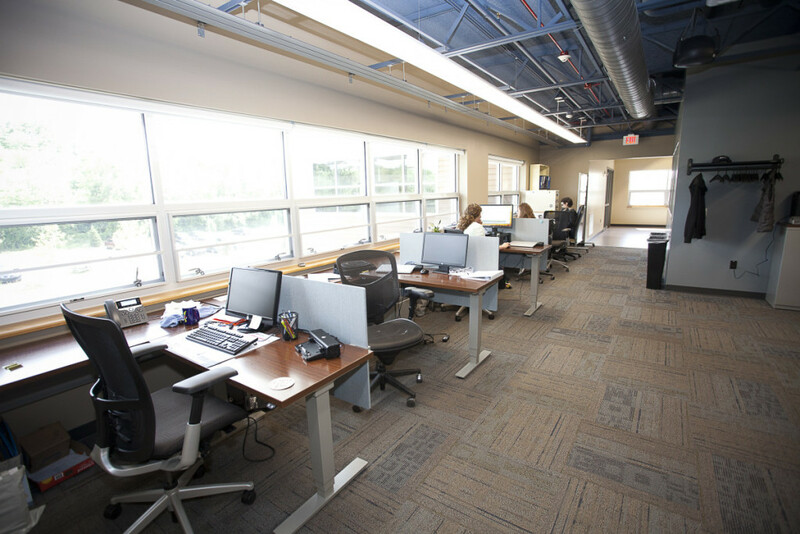 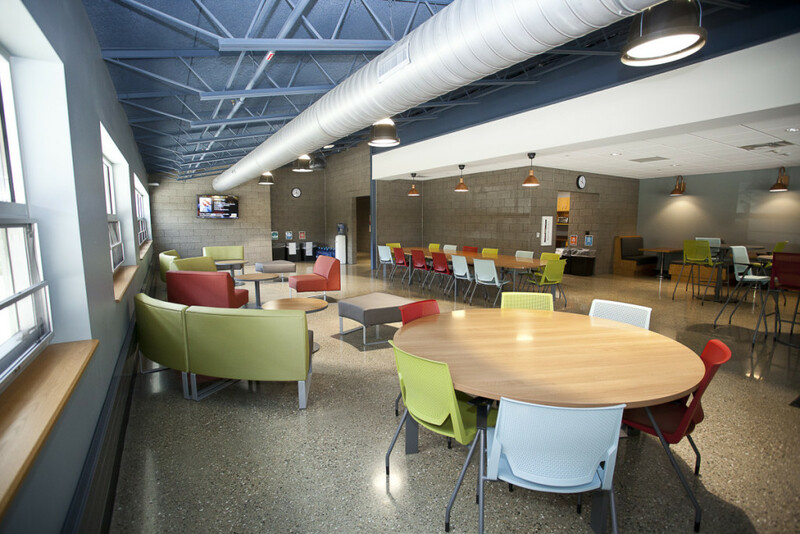 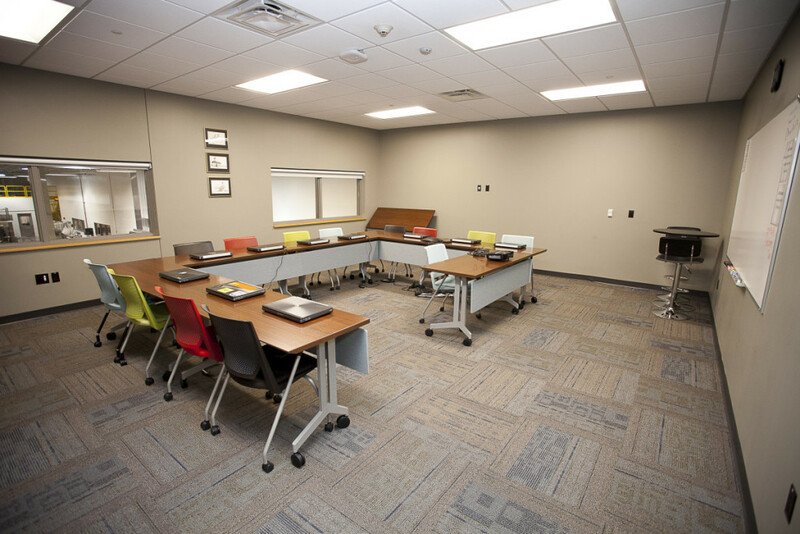 Employee Support Services - Byce & Associates, Inc.
Design Program: The employee support services building is a 2 story office space centrally located between the new bottling hall and logistics warehouse. 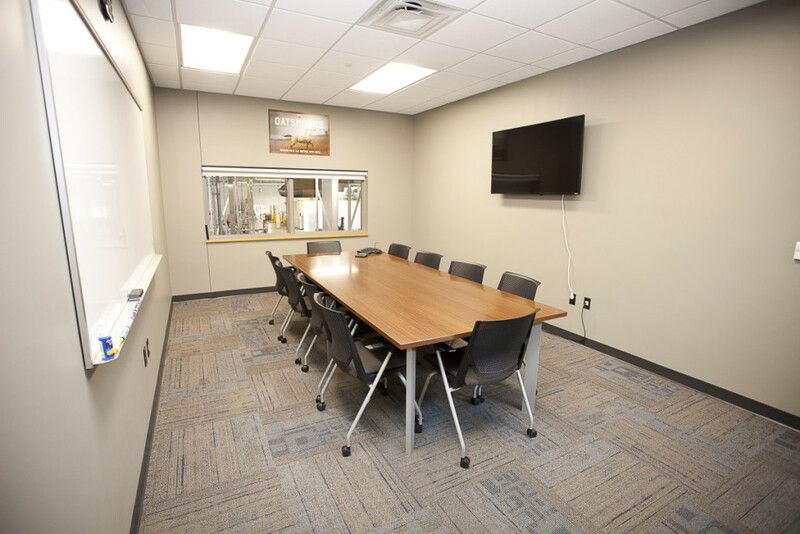 Designed to be a central spine for facility wide employee service functions the space was located to provide visual connection points between shipping and receiving, bottling, fermentation, and future production spaces. 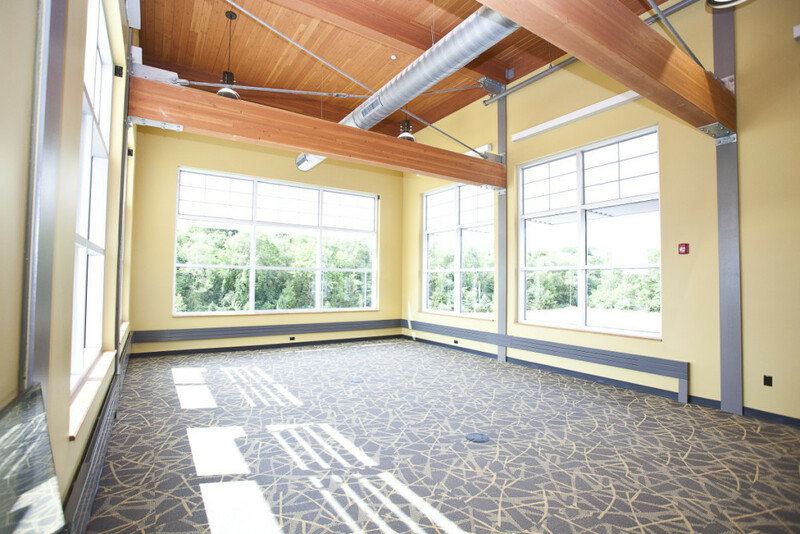 Each space has been designed with high volumes of natural lighting as well as prime views to all adjacent interior production spaces. 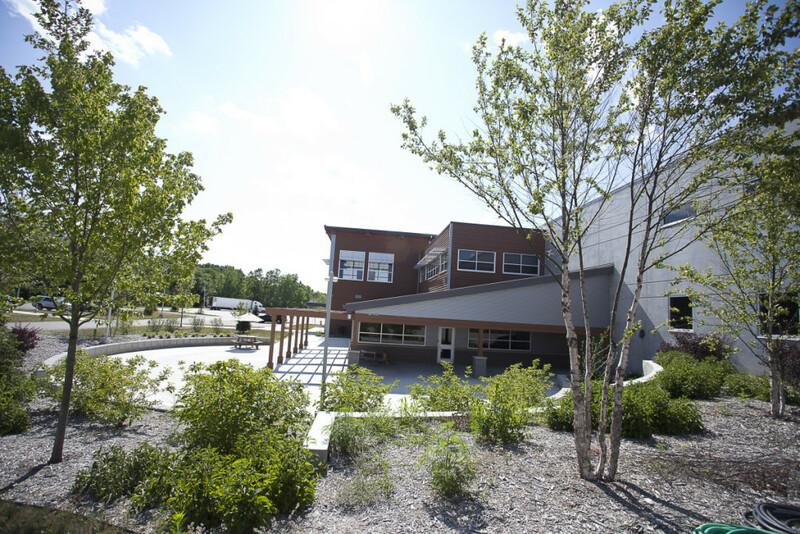 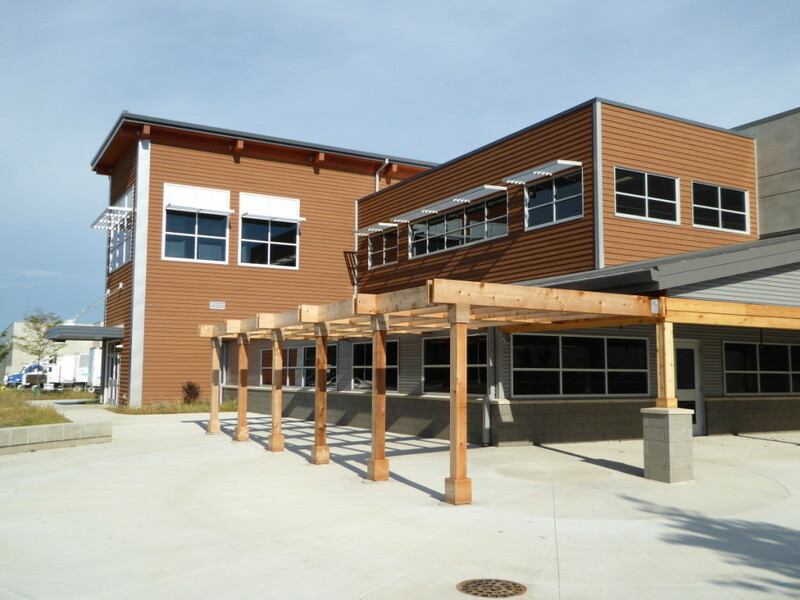 The building was constructed with heavy timber wood systems, burnished concrete block, wood and metal veneer systems, and thermally enhanced wall systems. 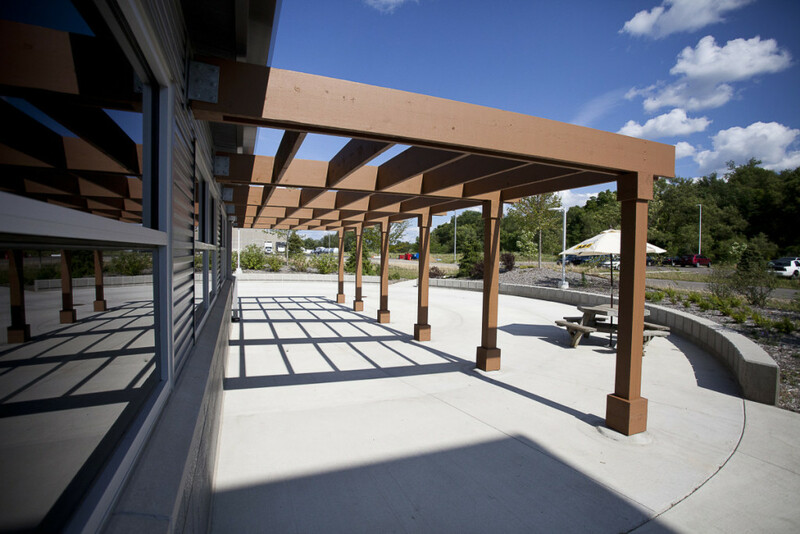 Located on the North side of the building is a new dedicated public entry. 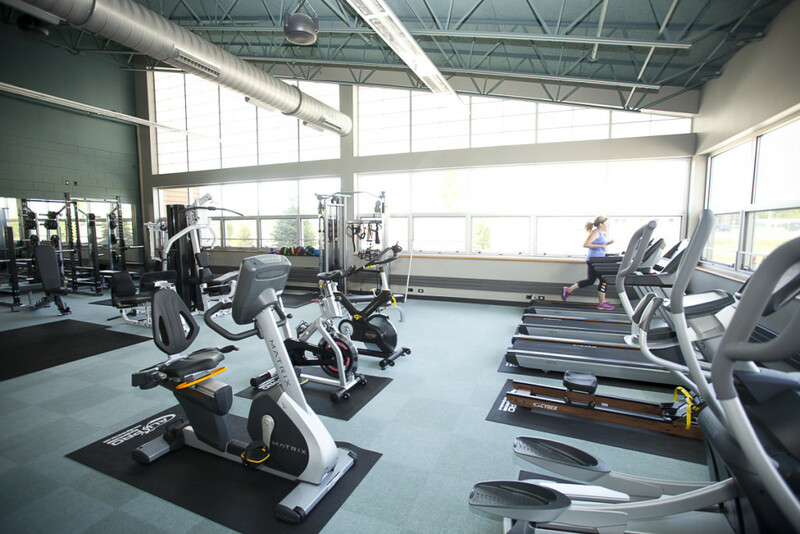 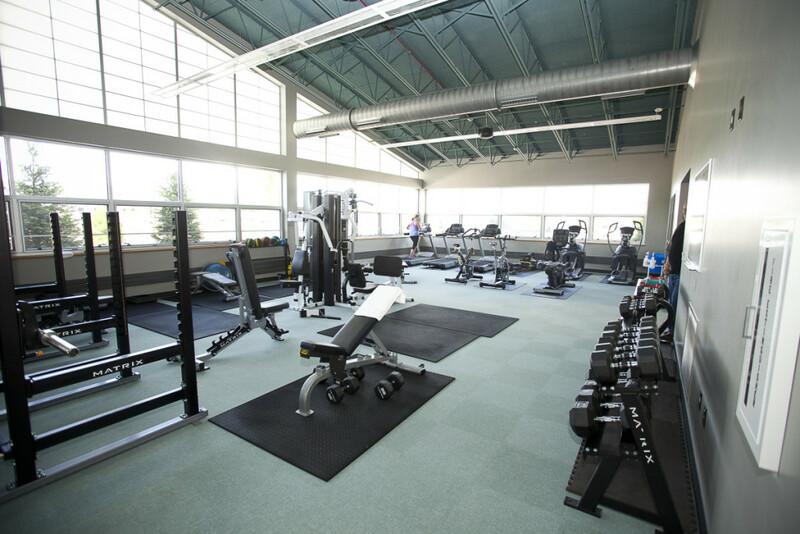 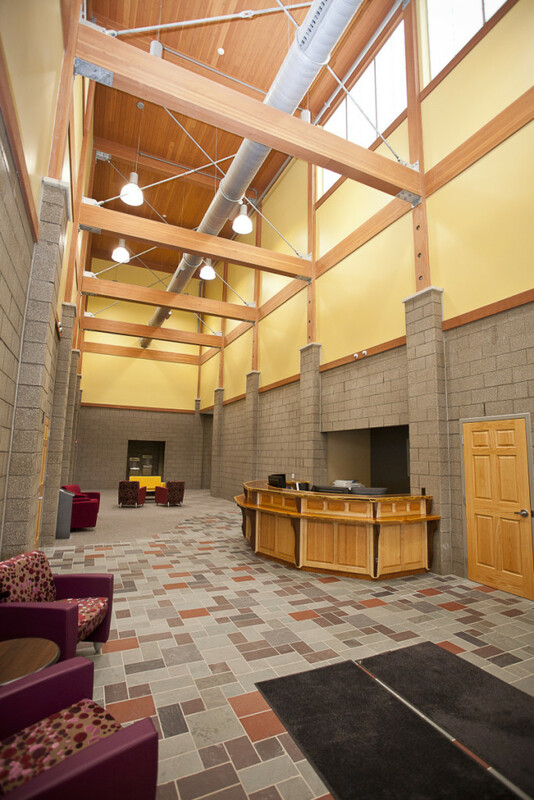 This portion of the facility consists of an employee fitness center, wellness clinic, human resource offices, general reception space, and a multipurpose training center and training bar designed with a capacity for up to 500 people. 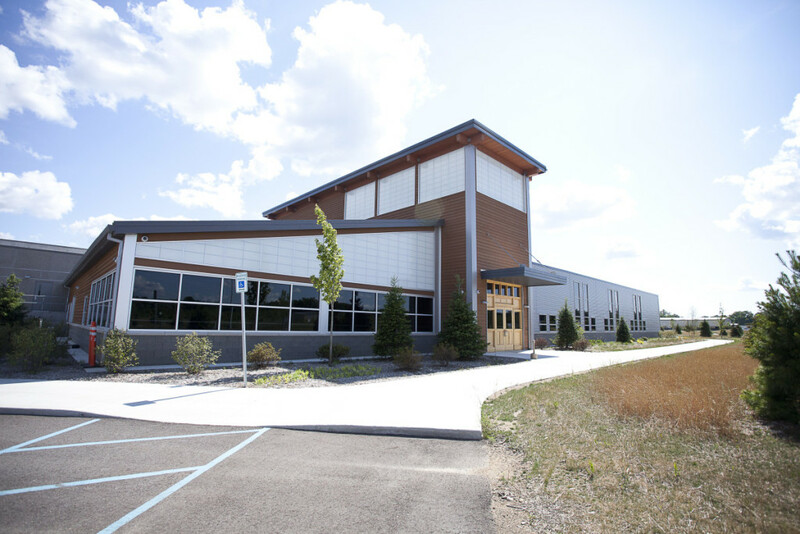 The South side of the building is dedicated for employee entry. 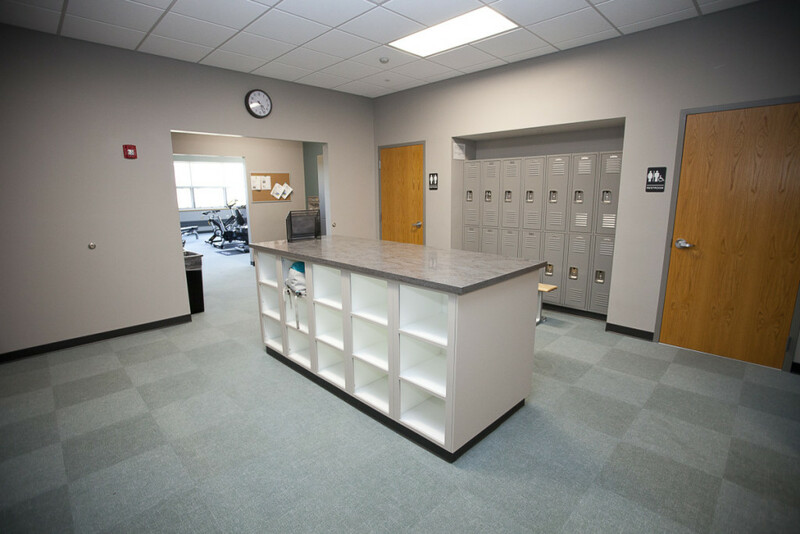 It is complete with men’s and women’s locker rooms, a break room and exterior patio, trucker’s room, logistics offices, packaging offices, point of sale (P.O.S.) 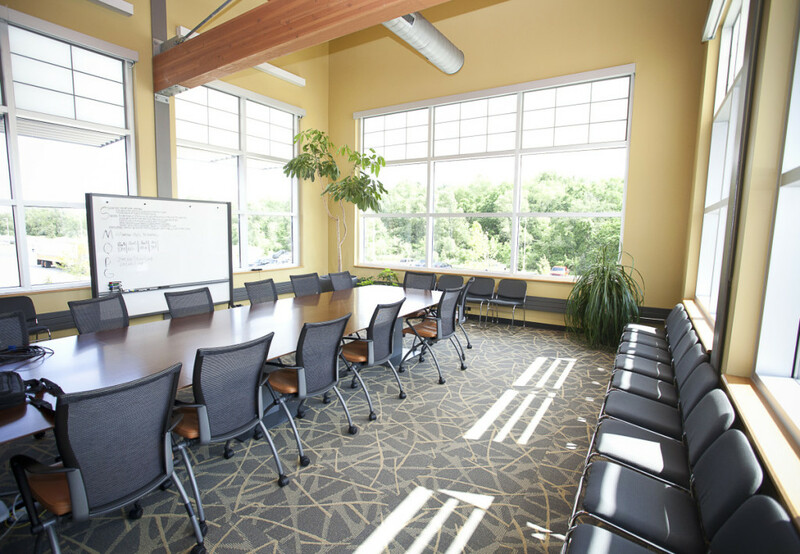 offices, general conference rooms, IT rooms and training areas, and a board room. 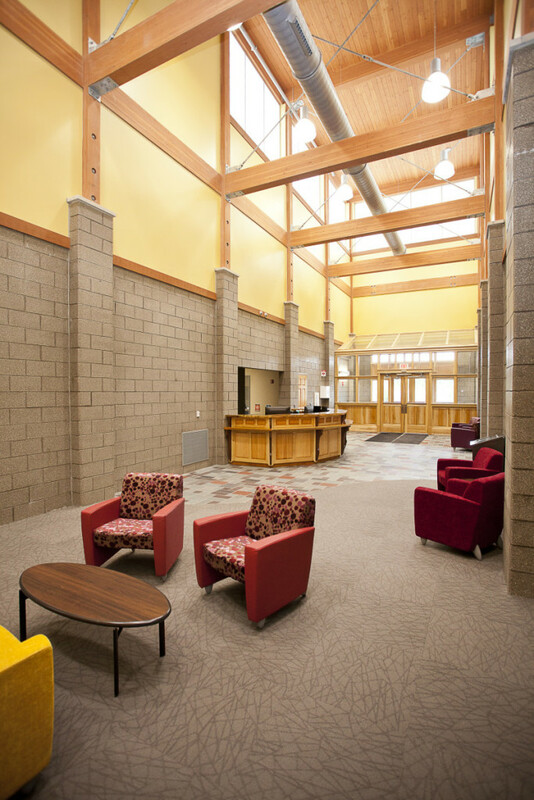 Design Challenges: Due to the location of the employee services functions and the central spine location construction phasing and fire separation between occupancy types was a critical component to the project. 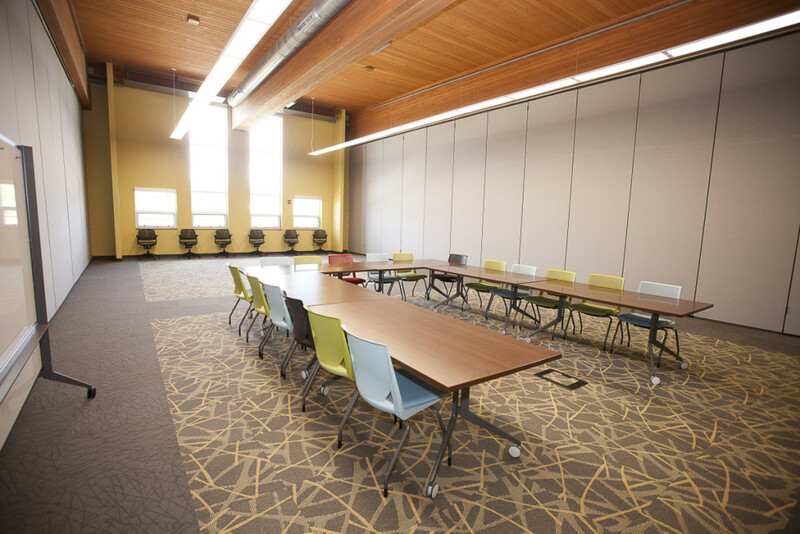 Maintaining occupancy and production in adjacent spaces while constructing an addition between fully occupied spaces required a high level of design, project and document coordination.